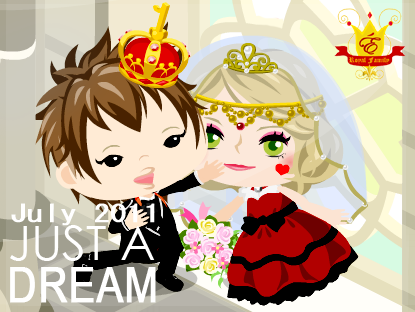 Hello to every Just A Dream fans! Last time, we announced that we will be having a trivia on Valentine's Day. Our video hit about 42,000 within 6 month with 456 Likes and 8 dislikes. Most of the insights from our viewers says it's such a sad story and it makes them cry and I was like.. 'wow'. Those comments made me feel encouraged and showed me that this video is one of my successful work. So! Are you ready for the trivia? ANSWER WILL BE RECEIVING 500AG. ・Write your answers on the contents. ・SEND US YOUR ANSWERS at etoile.royal@yahoo.com with your PICO NAME..
・Don't forget to like our facebook page for more updates! ・Never change your Pico ID. ・Don't tell anyone your answer. ・The first pico user who gets the right answer will be chosen as the winner.